Readings are in Inches, during the daytime half inch lines are visible. Check the camera during or right after a storm for the best results. Compare current reading with the hourly, 7:00 AM or yesterday's. 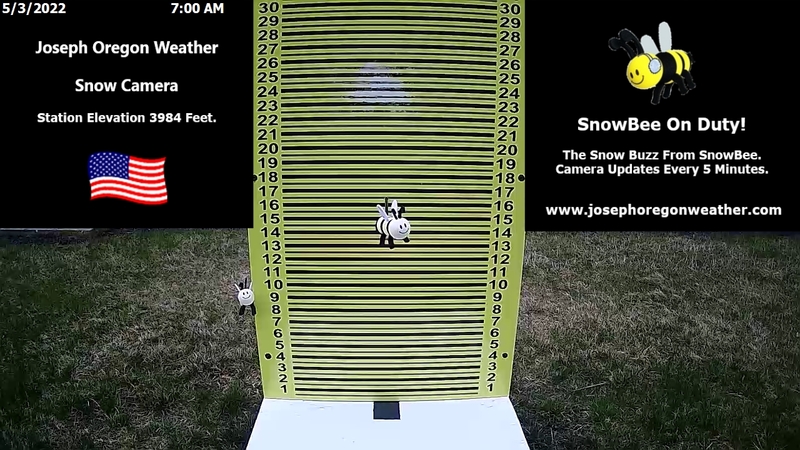 SnowBee can be used as a guide in drifting snow storm conditions. Little or no snow on SnowBee - Drifting may be present during or after the storm. Snow on SnowBee - Winds have been mostly calm during or after the storm. Ice on SnowBee - Freezing rain. Melting, settling, and/or drifting will change the snow depth shown. The black box on the deck (when visible) is to aid in detecting light snow fall. Snow camera area is not cleared off after storms, area remains untouched. Located between Joseph and Enterprise at this weather station. Located out of the direct sun for most of the winter. Snow fall amounts will vary from one location to another in the area. 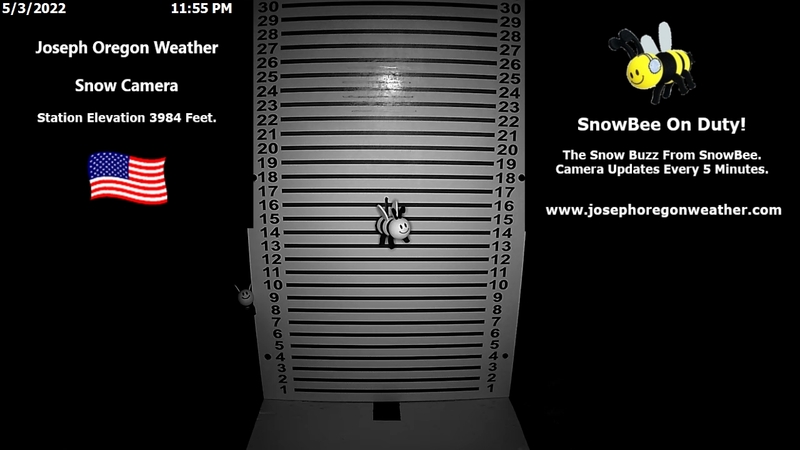 Use the snow depth shown only for general information. Refresh this page to ensure the newest camera images are shown. In service from mid October to mid April.